When the Palmer Cleaners becomes Palmer Movers, you know that this are becoming serious. Naturally, we cannot leave you to struggle with your upcoming home moving in London project, which is why we have taken the time to master the craft of professional moving and create a service that is going to cover your needs and personal preferences in a manner that is up to the best results in the business. Specialized projects – moving antiques, fragile items, sensitive equipment etc. In any case, we will see to it that your items are packed with precision and care, that they are secured on the moving vehicle and the transportation process. Our moving services in London are available in the whole metropolitan area, so no matter where you are moving to and from, we will be ready to help relocate. We never fail to work in a manner that is up to all standards and reaches the highest levels of customer satisfaction. Hiring London based movers from us, we would like you to notice, is not going to be expensive at all. We calculate the costs of every job individually, according to floor size, number of boxes, time and other factors. Our eco-friendly packing materials and rather efficient methods come as a guarantee that no resources are going to be wasted, which naturally brings down the overall price of our removal options in London significantly. Last but not least – we offer some pretty appealing discounts weekly, so stay tuned. Make a reservation today and let us help you get moved, plan a removal or organise a delivery. We will provide you with a quote and enable you to book the right time and day for you to get the job done. We can be reached via phone and email and we will provide you with a quick and useful answer. 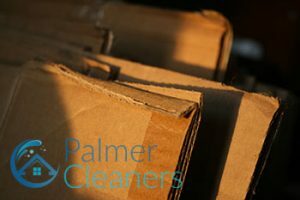 A Palmer Cleaners we make sure that every single member of our staff is properly vetted, trained and certified for the jobs that they are commissioned to do. Our movers in London are no exception to that rule. Not only are they leading experts in the field of professional relocations in London, but they also have access to state of the art vans and Luton trucks that are able to accommodate small and large-scale jobs alike. All our vehicles come with modern GPS navigation and safety gear for the stress-free transportation of your goods. As one of the biggest cities in Europe, London sees a lot of people needing professional movers. The city has been steadily growing ever since the beginning of the 19th century with a large boom after the railway construction and has become a true metropolis following WWII and it’s rebuilding. Today it’s a culturally rich place, with millions of people from all sorts of ethnical, cultural and religious backgrounds, living and culturally exchanging together. It is a diverse place and has some of the nicest areas in Britain you can wish to live in. London is a place for business and pleasure alike. The City and Canary Wharf are the capital’s two most prominent financial districts. Tourists tend to flock the areas around attractions such as Westminster Abbey, Buckingham Palace and the London Eye. The British Museum has several million visitors every year as well. Accurate quotes with no hidden fees. Our pricing is customised in accordance to the specifications of the cleaning job. I've been using a maid from your company for months and I'm very pleased. Your end of tenancy cleaning service helped me get my deposit back. Thank you.